More often, the expression “what a difference a week makes” is considered trite and overused. But in the case of Team Penske’s Monster Energy NASCAR Cup Series title hopes, it is an apt and viable expression for the championship team. In a matter of minutes, late in Sunday’s race, at Talladega Superspeedway, two of the Penske team’s Playoff winning drivers – Brad Keselowski and Ryan Blaney – dropped out of the top-eight in the Playoff rankings and find themselves in urgent need for a change in fortune as the series heads to Kansas Speedway for Sunday’s Hollywood Casino 400 (at 2 p.m. ET on NBC, MRN and SiriusXM NASCAR Radio) – the final race in the second round of the Playoffs. The two Ford drivers had been running up front – strong and trouble free – all afternoon at Talladega, but both ran out of fuel by the final restart in overtime. Keselowski finished 27th and Blaney, 29th. They, along with teammate Joey Logano, had been considered good bets to advance through this round of Playoff competition. Instead, they find themselves in a perilous position heading into Sunday’s race. Keselowski – a three-time race winner this season and a winner in the opening Playoff race at Las Vegas – is now 18-points behind eighth place, Martin Truex Jr. with only the top eight drivers advancing to the next round of the Playoffs. Blaney, also a Playoff race winner, taking the inaugural trophy at the Charlotte Road Course three weeks ago, falls to 10th in the standings, 22-points behind Truex. “Really disappointing way to end our day,” Blaney acknowledged after the Talladega race. “We didn’t have the fastest car today, but we were in a good spot before the caution came out. A win or an exceptionally strong showing will be necessary this weekend. And eighth place Truex not only has a reasonable points advantage, he has won two of the last three Kansas races. And he finished runner-up this Spring to current championship points leader Kevin Harvick. Keselowski, 34, is a former Kansas race winner, taking the trophy in the spring of 2011. The driver of the No. 2 Team Penske Ford has two top-10s in the last five races, including a runner-up in the spring of 2017. He’s led only 22 laps in that time frame, however, and didn’t lead any laps this Spring en route to a 13th-place showing. Blaney, 24, has four top-10 finishes in seven career starts at Kansas and led 54 laps this Spring before getting collected in a crash. He was third in this race last Fall. More worrisome than Keselowski’s and Blaney’s situations are Kyle Larson and Alex Bowman’s position in the standings. The two Chevrolet drivers essentially find themselves in a must-win situation at Kansas. Larson, who drives the No. 42 Chip Ganassi Racing Chevrolet, is 26-points behind Truex in the cutoff position. And Bowman, who drives the No. 88 Hendrick Motorsports Chevrolet, is 68-points behind. Larson, a four-time winner in 2017, is still looking for his first victory of this season. He has top-10 finishes in two of the last three races at Kansas and led a race best 101 laps this Spring only to finish fourth. Last year, Larson suffered a heartbreaking outcome at Kansas, retiring early with an engine problem that ultimately eliminated the heavy championship favorite from the Playoffs. Bowman scored his career best outing at Kansas in this race last year – a seventh-place effort filling in for then-injured Dale Earnhardt Jr.
Christopher Bell’s return to Kansas Speedway this week no doubt gives him positive vibes. The 23-year old Oklahoman scored his first career series win in this race last year, driving part-time for the Joe Gibbs Racing team for whom he is now hoping to secure another Xfinity Series title. And he’s certainly off to a good start. Bell has won two of the opening three Playoff races, including the opening round finale at Dover two weeks ago. 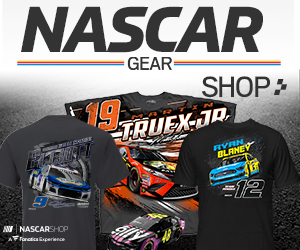 His six wins in 2018 make him the all-time winningest rookie driver in the series – surpassing the work of Greg Biffle, Carl Edwards, and Kyle Busch, who all had five wins their rookie season. Bell holds a six-point edge over the regular season champion Justin Allgaier and is up a healthy 43-points on eighth place Austin Cindric heading into the second-round opener Saturday, The Kansas Lottery 300 (at 3 p.m. ET on NBC, MRN and SiriusXM NASCAR Radio). Plus, he has a pair of fourth-place finishes and a pole position in the Camping World Truck Series at Kansas prior to his Xfinity starts. 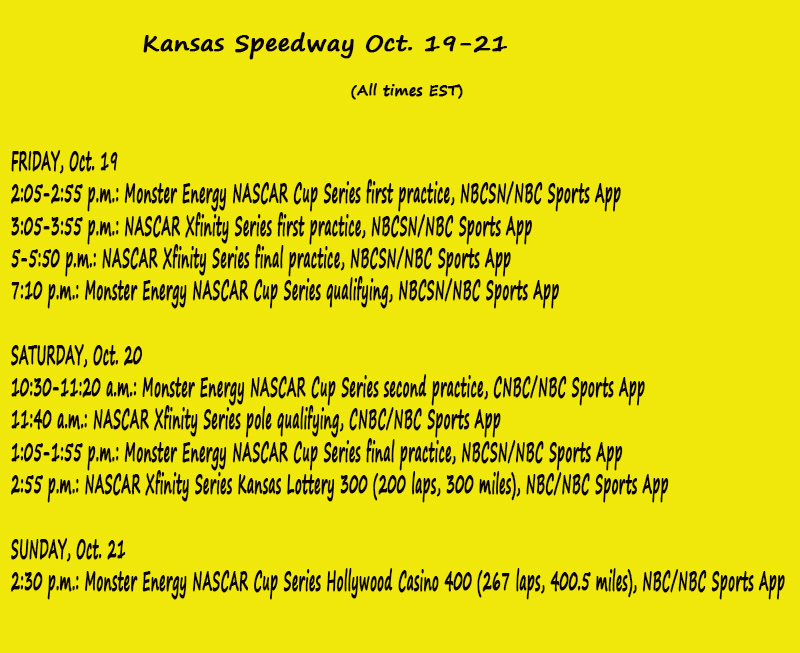 What to Watch For: This marks the second consecutive year that Kansas Speedway has served as a Playoff “cutoff” race. … Twice the winner of the Kansas Playoff race has gone on to win the Cup championship – Jimmie Johnson in 2008 and Martin Truex Jr. last year. … The worst finish for a driver in the Kansas race that went on to win the title was Tony Stewart, who won the 2011 Cup championship after finishing 15th at Kansas. … Jason Leffler still holds the mark for best average starting position at the track (3.5) and NASCAR Hall of Famer Rusty Wallace holds the mark for best average finish (8.2 – in five starts). … Joey Logano leads active drivers with a 10.1 average starting position. … Kevin Harvick holds the track qualifying record at 197.773 (Oct, 2014). ….Brad Keselowski set the mark for deepest in the field (25th) a race winner has started. … Erik Jones (2015), Ryan Blaney (2014), Austin Dillon (2011) and Denny Hamlin (2005) all made their Cup debuts at Kansas. … No driver has ever earned their career first Cup win here. … Matt Kenseth leads all drivers with 774 laps led, followed by Truex (726) and Harvick (675). … Chevrolet leads current series manufacturers in victories (11) at Kansas, followed by Ford (seven) and Toyota (five). …. Should a Chevy driver win the pole, it would mark the make’s 700th all-time in the Cup Series – most among manufacturers. 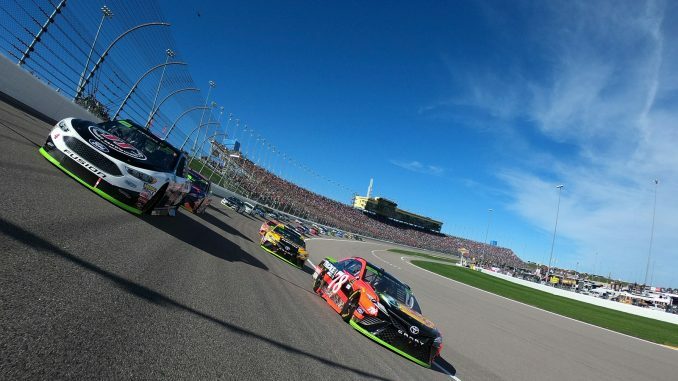 …Truex (Oct, 2017) and Harvick (May, 2018) – the last two winners at Kansas – also lead the series with three runner-up finishes here. … There have been only two OT finishes in the 25 races run here. Johnson won in October, 2011 and Logano won in October, 2015. … The closest Margin of Victory (MoV) at the track came when Joe Nemechek beat Ricky Rudd by 0.081-second in October, 2004. Harvick’s win over Truex this May (by 0.398-second) is the fifth closest MoV. What to Watch For: This is the first race of the Playoff’s Round of 8. The last two Kansas Playoff race winners were not championship eligible. Kyle Busch won at the track in 2016 – the first year of the series’ Playoffs – and current championship leader Christopher Bell is the defending race winner. . … Last year’s victory at Kansas was Bell’s first series victory in his first series start at the track. … Bell’s six wins this season is a series record surpassing the work of . three former series champions Greg Biffle, Carl Edwards and Kyle Busch, who all had five victories in their rookie season. … The original Playoff field consisted of 12 drivers representing nine teams. JR Motorsports’ three drivers – regular season champion Justin Allgaier, Elliott Sadler and Tyler Reddick – was the most from a single team. … Three rookie drivers advanced to the Round of 8 – Bell, Reddick and Team Penske’s Austin Cindric. … Allgaier, Sadler and Ryan Reed are a perfect 3-for-3 in qualifying for the playoffs. … In 2016, Busch won the Kansas race and eventual season champion Daniel Suarez finished third. Last year, Bell won the Kansas race and eventual season champion William Byron finished fourth. …Team Penske leads the Owner’s Championship by six-points over Chip Ganassi Racing. … This week Cindric will be in the No. 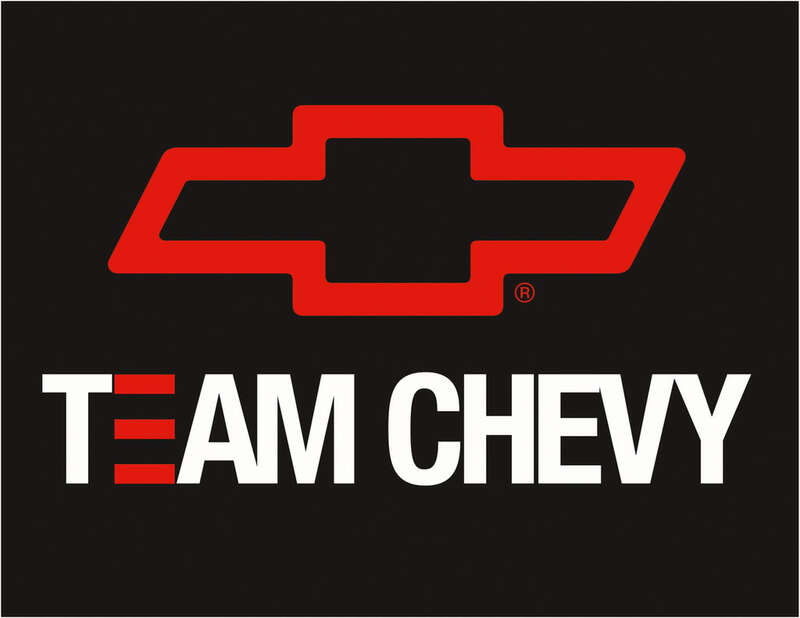 22 Team Penske Ford and John Hunter Nemechek will be driving the No. 42 Chip Ganassi Racing Chevrolet. It is the first time both these drivers have competed in the Xfinity Series at Kansas. … Bobby Earnhardt, the grandson of the late NASCAR Hall of Famer and seven-time Cup champion Dale Earnhardt, will be attempting to make his Xfinity Series debut in the No. 66 Dodge. Bobby, 31, is the older brother to 29-year old Jeffrey Earnhardt. Their father is Kerry Earnhardt. …. Also Angela Ruch will be making her second start of the season. She is scheduled to drive the No. 38 RSS Racing Chevrolet. She finished 30th and started 40th in her only other Xfinity race this year at New Hampshire.